Eight trillion microbeads are polluting the US waters every day, and similar trends have been reported in many parts of the world. As the plastic beads are very small, they breach through the water filtration systems, affecting wildlife and ultimately, humans. 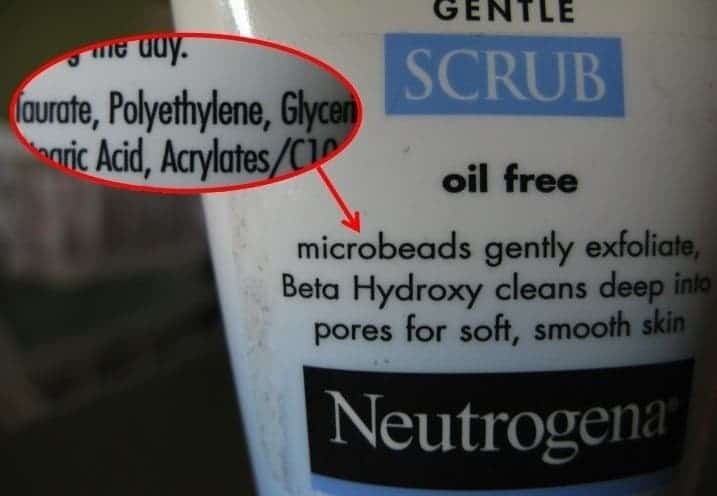 The main culprit for this microbead invasion is the cosmetics industry, where the particles are used as exfoliating agents and in toothpastes. 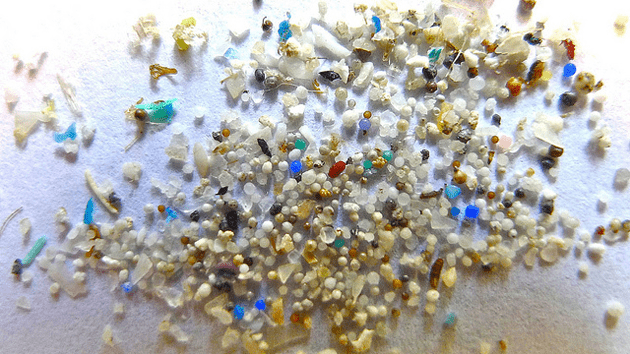 Microbeads are polyethylene microspheres smaller than five millimeters in diameter, but they are commercially available in particle sizes from 10 µm to 1000 µm (1mm). Because they pass through sewage treatment plants without being filtered out, their disposal has resulted in plastic particle water pollution and several jurisdictions already regulate their use; however, a group of scientists has asked for a complete ban on microbeads and microbead products. Plastic microbeads have been found to pollute the Great Lakes in high concentrations, and they’ve been found in virtually all waterways. Microbeads also typically absorb other pollutants and they are accidentally consumed by marine creatures. “Microbeads are just one of many types of microplastic found in aquatic habitats and in the gut content of wildlife”, said Chelsea Rochman, the David H. Smith Conservation Research Postdoctoral Fellow at the University of California/Davis, and lead author on the analysis. In an article just published in the journal Environmental Science and Technology, scientists from seven institutions show not only the extent of damage, but also provide a list of alternatives – nontoxic and biodegradable alternatives exist for microbeads. This is not the first time microbeads have come under scrutiny. In May 2014, a study found that microbeads are killing many of the ocean’s fish. Another survey found that all the Great Lakes have disturbingly high concentrations of microbeads, with severe implications for local ecosystems. Other scientists have found that microbeads can clog the digestive systems of coral, eventually starving them and killing them. The good thing, as the study points out, is that this problem is very easy to solve: all you have to do is ban these products, or stop using them. A simple act like that can do a great difference, and now, we have scientific evidence that microbeads should be banned. Journal Reference: Chelsea M. Rochman et al – Scientific Evidence Supports a Ban on Microbeads.